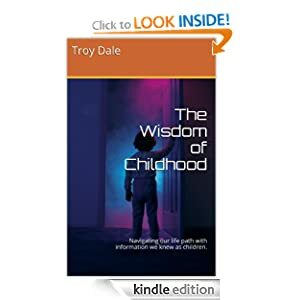 This is an excerpt from my book “The Wisdom of Childhood,” which is available at Amazon Kindle. What is it about the number three that makes it so intriguing? Does it have mystical power, or is it just another number? The ancient Greeks considered three to be the perfect number. Three represents the sides of a triangle, considered to be the strongest of all structures. It also represents the threefold nature of mankind – body, mind, spirit. Someone said it is the symbol of the creative force – father, mother, child. My wife says to her it represents the feminine side, the masculine side, and the balanced person. In music, the basic chord is made up of three pitches called a triad. This creates harmony. Of course, there is the Holy Trinity. Children are not knowingly aware of this philosophical mumbo-jumbo, and yet, for some reason, there is a wide usage of three in their world. 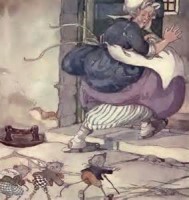 If you look in Mother Goose Rhymes or a book of Fairy Tales, you will find a large number of uses of the number three. Let’s take a closer look at three from a child’s perspective. Consider the tale of “The Three Little Pigs,” an all-time favorite of children. On the surface, it is just a story of pigs who built different houses to protect themselves from the big, bad wolf. The first two houses, built in haste, were no match for the power of the wolf. The third house, built of brick, however, offered the protection necessary for survival. This is a lesson of “trial and error,” and “try, try again.” It demonstrates that in order to survive, we must keep trying, and always do our best. How about “Baa, Baa, Black Sheep,” which is about sharing. The black sheep has three bags of wool that he will share with the master, the dame, and the little boy – father, mother, child. 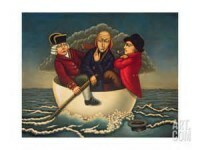 “Three wise men of Gotham, Went to sea in a bowl. If the bowl had been stronger, My song would be longer.” Obviously this lesson is about proper preparation for our journey. And then there is the plight of the “Three Blind Mice.” They are blind to proper conduct, and end up without tails. 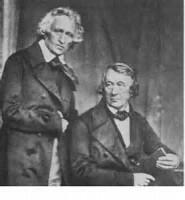 In the Brothers Grimm collection there are thirteen titles in which the number three appears. One of these tales is the story of a poor old man with three sons – “The Three Children of Fortune.” The father says to his sons, “I am old, my end is approaching, and I would like to provide for you before I die. Money I have none, and what I now give you seems of but little worth. Yet it rests with yourselves to turn my gifts to good account.” He gave to one a rooster, to one a scythe, and to the third a cat. Each son went into the world and searched until he found people who had never heard of, nor seen what he possessed, and sold them the gift, because it met a great need in their community. Each son acquired great wealth from his endeavors. The number three may not have magical or mystical powers on its own, but it seems to be used a lot in children’s literature to tell many truths about life. Always do our best, share what we have, prepare adequately for our life’s journey, conduct ourselves properly, master skills necessary for survival, and be industrious in our use of the gifts we are given. If we could master these truths, we would surely find happiness. Another childhood phrase comes to mind as I think on the number three. “One for the money, two for the show, three to get ready…” and you know what comes next. This entry was posted in Life Path and tagged Baa, Black Sheep, Brothers Grimm, Fairy Tales, Holy Trinity, Mother Goose, nursery rhymes, Three, Three Blind Mice, Three Little Pigs, Three Wise Men of Gotham. Bookmark the permalink. And then there’s the old expression, “Third time’s a charm.” Interesting post. Thanks. Or we could go for “Three strikes, you’re out,” but that seems so negative. One of my theatre professors maintained that the reason the number three figures so prominently in stories is that it is the fundamental number that you need to create, and then disrupt, a pattern. Interesting thought. Thanks for sharing. I had an art teacher who said much the same thing that Muddy River Muse’s theatre professor said. As I remember, his advice went something like this: whether sewing buttons on a dress, arranging flowers in a vase, or setting up a still-life to paint, choose an odd number of items to create symmetry and imbalance at the same time. Then he added, “My personal preference is a grouping of three items.” I enjoyed your exploration of the number 3 in literature as well. Well, three does seem to be an important number in our world. We would be wise to pay attention.